The Japan earthquake and tsunami has effectively shut down the Japanese auto industry. Japanese auto plants escaped major damage from the earthquake and tsunami, but rolling blackouts triggered by stricken nuclear reactors have halted production. The Japanese auto shutdown is likely to affect Toyota the most. Toyota stock, as well as shares for other Japanese automakers, took a nosedive Monday. Japanese automakers were totally sidelined by the March 11 earthquake and tsunami, which closed factories that build vehicles for sale in Japan, as well as engines and other parts used to keep Japanese-owned vehicle assembly plants running around the world. Japan is the world’s only source for parts needed to assemble the Toyota Prius, which is growing in popularity as the price of oil and gas rises. Rolling blackouts forced Toyota, the world’s largest automaker, suspended operation at all 12 of its Japanese factories Monday. Other Japanese automakers halting production include Honda, Nissan, Suzuki, Mitsubishi and Hino Motors. On Monday, Japanese authorities announced that large-scale, coordinated power outages would begin Monday because Japan’s nuclear power industry, which supplies 20 percent of the country’s electricity, is offline. The Japan earthquake and tsunami could cause Toyota production to drop by 40,000 vehicles. Each day Toyota’s Japanese plants are closed will cost the automaker $72 million in profits, according to a company spokesperson. Nissan, Japan’s second-largest automaker maker, suspended operations at four plants until March 16 and at two other others until March 18. Honda, Japan’s third-largest automaker, is shut down until March 20, a move that could reduce production of vehicles and motorcycles by more than 18,000 units. According to Goldman Sachs, Nissan and Honda could lose up to $24 million a day while production is halted. Shares of the Japanese big three were hit hard as the the blue-chip Nikkei Stock Average closed Monday down 6.2 percent, its worst day since late 2008. In Tokyo trading, Toyota stock dropped 7.9 percent, the most since December 2008. Nissan stock plummeted 9.5 percent, and Honda shares slid 6.5 percent. World stocks dropped to six-week lows Monday, due to panic-selling over fears that Japan’s devastating earthquake and tsunami could derail a global economic recovery. 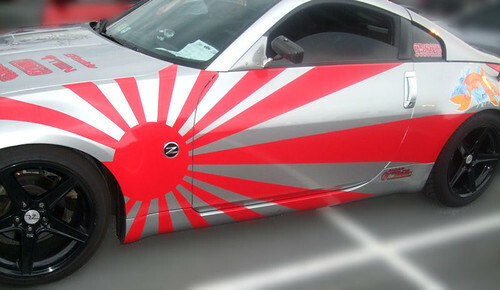 According to Credit Suisse, Japanese gross domestic product could drop by 1 trillion yen in 2011, or about 0.2 percent. Damaged consumer confidence and production cuts throughout the Japanese industrial sector could cut into Japan’s GDP as much as an entire percentage point.